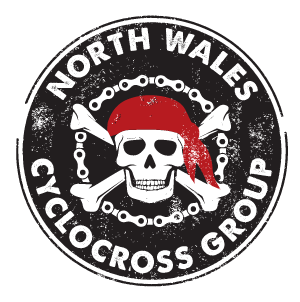 Facilitate friendly; accessible and inclusive competitive Cyclocross racing in North Wales specifically the counties of Gwynedd, Isle of Anglesey, Conwy, Denbighshire, Flintshire & Wrexham CBC. The Group will promote a positive approach to competitive cyclocross racing; providing a framework of rules and regulation to allow competitors, parents and supporters to enjoy their sport within an ethical framework. Support race organisers with the provision of an equipment pool, know-how, public liability insurance cover, a centralised Race HQ organisation, publish an annual fixture list, administer an annual League competition, provide electronic scoring systems, publish race results & League tables, prize guidelines and administrative support in relation to local authorities, public bodies or landowners. Provide financial oversight; determine entry fees and competition categories and account for race incomes and financial expenditure in support of League activities. Underwrite essential administration costs such as race equipment, marker tape, signage, IT equipment, gazebo shelters, website design & hosting and a social media presence. Administer agreements with external parties including League sponsorship arrangements and undertake other activities incidental or conducive to the furtherance of these objects.